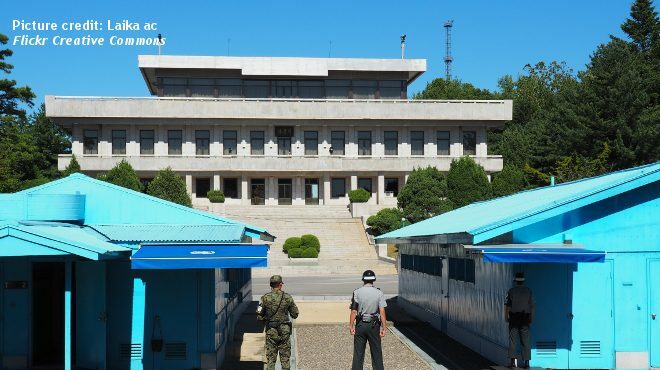 Can opening of dialogue on the Korean peninsula deescalate tensions? New Year’s Thaw on the Korean Peninsula: Will It Last? The meeting between high-level North and South Korean officials on January 9 was the first inter-Korean dialogue since December 2015. Following months of escalating tensions over North Korea’s nuclear and ballistic missile programs, the recent meeting offers a welcome opportunity to deescalate the mounting sense of crisis. The two sides agreed not only to North Korea sending a delegation and team to the Pyeongchang Winter Olympics to take place in South Korea next month, but also made progress on security issues, notably agreeing to resume inter-Korean military talks on defusing tensions across the border, as well as opening the possibility for dialogue in other areas. More immediately, much to South Korea’s relief, and other participating nations, the recent meeting appears to allay fears that the security situation would overshadow the Winter Olympics. The joint communique between the two sides followed the restoration of a hotline between the two Koreas – cut since 2016 – and the announcement made days earlier that the U.S. and South Korea would postpone annual joint military exercises until after the Olympics. The meeting represents a diplomatic breakthrough for Seoul, which under the Moon Jae-in government, elected last May, has sought to reassert its role after having seemingly become largely eclipsed in the war of words between Washington and Pyongyang. While vowing to maintain pressure through sanctions and bolstering its deterrence, the Moon government also desires to re-engage Pyongyang in dialogue. That Pyongyang has acceded to dialogue, after having rebuffed previous overtures by Seoul, has left many analysts speculating as to the reasons and timing for the apparent shift. In fact, in his New Year’s address, North Korean leader Kim Jong Un devoted considerable attention to his willingness to improve relations with the South, while reserving strong criticism of the United States. For some observers it is a sign that the policy of sanctions and pressure is working – that is, North Korea is seeking to obtain relief from not only from successive sanctions rounds that have sought to cripple its economy, but also a high-level of military preparedness which it is unable to sustain. In so doing, however, there is also concern that North Korea’s intention is to try and divide the U.S.-ROK alliance, and to try and persuade Seoul to influence Washington into softening its stance. A more likely reason for the current timing of talks is that Pyongyang is acting according to a strategic agenda of what might be termed “nuclear weapons first, negotiations later.” Having accelerated its nuclear and missile programs in 2017, culminating in its sixth nuclear test in September and ICBM launch in November, it would appear that North Korea has now set its agenda to enter into negotiations on the basis of its now de facto cemented status as a nuclear weapons state. The key question therefore, is whether the symbolic breakthrough achieved this week can be sustained beyond the Winter Olympics to make movement on the fundamental obstacles. North Korea has not indicated that its nuclear program is in any way negotiable. Far from it, Kim Jong Un also used his New Year’s address to remind the U.S. of its nuclear capability, while reportedly refusing any discussion of denuclearization at the recent inter-Korean dialogue in Panmunjom. Furthermore, the joint military exercises – a perennial bone of contention with the North – have simply been rescheduled. And while cautiously welcoming the inter-Korean talks, the Trump administration has shown little willingness to seriously engage Pyongyang in formal talks without it first taking credible steps towards denuclearization. The Moon government too has been at pains to emphasize that any substantive improvement in relations depends on progress on the nuclear issue. In short, no side has shown any indication so far of budging on their positions amidst what remains a severe deficit of trust. Unless this gap can be bridged, any sustainable thaw will likely prove elusive. Nevertheless, given the spiraling tensions that have characterized the past few months on the Korean Peninsula, recent developments offer a much needed breathing space for all sides to try and build some diplomatic momentum.